Along with it, veganism is slowly emerging as a trend of tomorrow making people opt for more nature-based foods by supplementing animal-based nutrients. 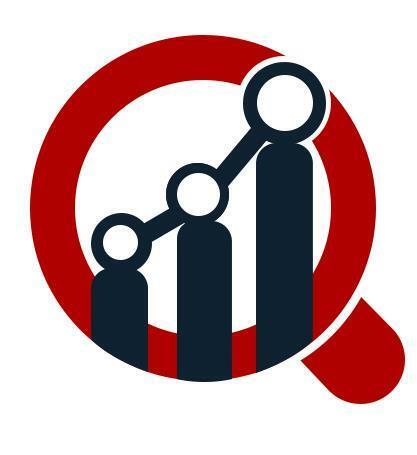 Hence, the non-dairy frozen market can anticipate an unprecedented growth during the forecast period (2017-2023), reveals Market Research Future (MRFR) in an extensively-studied report. Demand for convenience food, coupled with various diet trends to lead the non-dairy frozen market further ahead. However, governments are imposing stringent laws to promote food safety and security and is accordingly, certifying products. People are also relying more on such certification which gives the product its credibility. But the process to gain one is often cumbersome in many nations which can deter the non-dairy frozen market growth in the foreseeable future. Changing times tend to impact changing styles. The most to bear the brunt of the transforming societies and industrial achievements is the individual lifestyle, and the food habit has gone haywire. However, this has also given rise to health concerns as people now have more disposable income than ever which they are ready to spend on products that would compensate for their erratic food consumptions. The market is getting driven by major market influencers who are launching new products all the time to enjoy an edge over the rest. Research and developments are getting precedence when it comes to innovation, and the market is openly embracing it as taste-wise the market has huge potential. The key players profiled in the Non-Dairy Frozen Desserts Market are Cool Delight Desserts Ltd (U.K.), Unilever (U.K.), Hain Celestial (U.S.), Sunopta Inc. (Canada), Daiya Foods Inc. (Canada), Arla Foods (Denmark), Archer Daniels Midland Company (U.S.), and others. Lactose-free dessert is slowly gaining traction as it suffices needs of both vegans and people who suffer from lactose intolerance. Keeping this in mind, whey-protein based frozen dessert, Arctic Zero launched lactose-free and plant-based frozen desserts. Their portfolio includes products such as chocolate peanut butter, salted caramel, cookie shake, cake batter, brownie blast and others. Häagen-Dazs is expanding their array of products with the recently-launched non-dairy frozen dessert bars and trio crispy layers. Non-Dairy Frozen Desserts Market can be segmented by type, ingredients and distribution channel. By type, the market is segmented into custard, frozen yogurt, sorbet, sherbets, non-dairy ice-creams, and others. Ice-creams are the market leaders, but rising health awareness, is giving frozen yogurt segment much precedence owing to which it can enjoy the highest CAGR during the forecast period. Ingredients-based market comprises Soy Milk, Rice Milk, Coconut Milk, Almond Milk, Fruit Puree & Pulp. The market is witnessing soy milk reigning supreme. However, coconut milk will be the highest growing segment during the forecast period as people are becoming more aware regarding its health benefits. Based on distribution channel, the market is segmented into store-based and non-store based. Geographically, the market includes regions namely North America, Asia Pacific (APAC), Europe and the Rest-of-the-World (RoW). Europe has the maximum share of the market which is getting generated by the health-conscious fraternities. The APAC follows suit as the region is experiencing the rise of the working-class population along with on-the-go products that are impacting markets of China and India considerably. Its growth in the region is getting complimented by rising disposable income and a vegan diet trend.